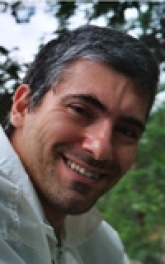 Ioannis Tsoukalas received BA degrees in Psychology (2002) and Social Anthropology (2002) from Stockholm University. Since 2003 he has been a PhD candidate at the Department of Social Anthropology, and is currently working on a dissertation project with the preliminary title “Erasmus students as apprentice cosmopolitans”. He has previously been a member of the interdisciplinary research project KOSMOPOLIT as well as a research fellow at the Stockholm Center for Organizational Research (SCORE). Academic interests: ethnicity, social identity, youth culture, cognitive science, dreams, social psychology, psychotherapy, network analysis, religion. The concept ”cosmopolitanism” has in recent years, thanks to increasing globalization, received renewed popularity in the academic and political debate. The aim of the present study is to investigate the cultural processes that currently take place within the European Union (EU) and that eventually are relevant for the development of such a cosmopolitan awareness and lifestyle. More specifically it will focus on the ERASMUS student exchange program, which has quite dramatically changed student life in many European universities during the last five years. It is almost as if a new student- and youth culture has emerged as a result of this politically motivated program. A large number of students thus circulate continuously within the borders of the European Union, staying long periods of time in different countries before returning to their home universities. The ethnographic material for this study will therefore consist of participant observation and interviews with such exchange students. Ioannis Tsoukalas’ research on REM sleep was highlighted in the article Exploring the Mystery of REM Sleep. Did REM sleep evolve out of a primitive defense mechanism? by Romeo Vitelli, PhD, published in Psychology Today, March 25, 2013. "Tärningen är kastad", interview by Linda Eriksson in the magazine Fokus Dec. 20, pp. 42-43. The Double Life of Erasmus students. In M. Byram and F. Dervin (eds.) Students, Staff and Academic Mobility in Higher Education. Cambridge Scholars Publishing. A method for studying social representations. Quality and Quantity. Vol. 40 (6), 959-981. A Retrospective Book Review. Statsvetenskaplig Tidskrift, 107, 311-319. Flexibel arbetsmarknad i fokus – en studie av nya anställningsförhållanden. Report to the Swedish Agency for Government Employers. 31st Annual Dream Conference, “Golden Gateway to Dreams”, Berkeley (USA), June 4-8. Session Chairman (Theory).